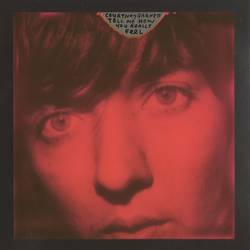 Courtney Barnett’s output is usually a sure thing – which is why it’s strange her latest, Tell Me How You Really Feel is weirdly disappointing. It’s not bad, it just lacks the punch found on 2015’s Sometimes I Sit And Think, And Sometimes I Just Sit. “Hopefulessness” is a strange, dissonant opener that casts a bit of a pall over the record, while first single “Nameless, Faceless” is a fine midtempo rocker that’s hook doesn’t really burrow in, say, like the classic “Pedestrian at Best”. There are some great moments like “Crippling Self Doubt and a General Lack of Self Confidence” buoyed by contributions by Kelley and Kim Deal and the relationship ballad “Need a Little Time”. It has been home run after home run until now. It’s just a bit of a bummer to hear Barnett sound tired and and actually a little bored. Sure, she’s sang about it, but it’s never really felt like it until now. Posted July 2, 2018, 6:30 p.m.
Posted Nov. 10, 2018, 10:24 a.m.
Posted Feb. 27, 2018, 8:51 p.m.
Posted Sept. 1, 2014, 8:42 a.m.